This entry was posted in Artists, YouTube and tagged Ad Supported, Big Machine, michelle phan, PewDiePie, stampy, Taylor Swift, YouTube, youtube economy, YouTubers, Zoella by Mark Mulligan. Bookmark the permalink. Thanks for this Mark – as always great insight backed with numbers. Authenticity will always be at a premium – its the greatest challenge for everyone to be. You are authentic in your quest to help musicians and the industry share music and their message with the world which is why I love hearing you talk at MIDEM and other conventions. Thanks again! Interesting analysis of YouTube phenomenon PewDiePie. 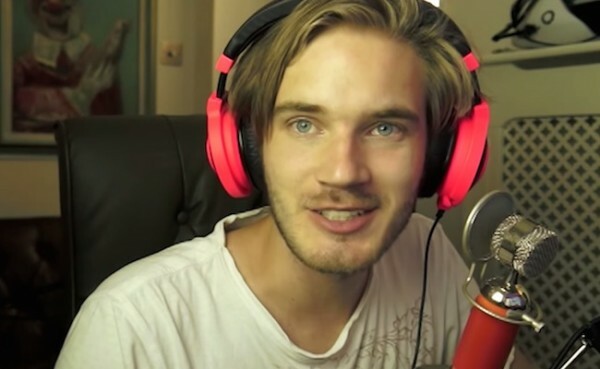 The figures are fascinating: The figures are fascinating: Forbes has named Felix Kjellberg (aka PDP), as the top-earning YouTube star on the planet after earning $12 million in the past year (details in an Independent article). It’s so interesting to see how the numbers stack up beside each other. I’ll be keen to see how this develops in the music industry over time. I wonder how some of the more popular YouTube musicians would fare compared to Taylor though? I’ve found that on my blog it’s been necessary to compare YouTube stars to more traditional stars such as Taylor in order to contextualise the strength of these online personalities’ influence. As usual, you are spot on, Mark. In particular, I think it’s notable that most musicians who have been successful on YouTube are those who have taken cover songs and put an original twist on them, whether it is Minecraft pop song parodies (which I discovered through my ten-year-old son), or a cappella (Pentatonix) or violin covers (Lindsey Stirling). When they start, most are producing fairly low-production videos that focus on the musician’s “live” performance, often in a bedroom or bland environment. The cover song is familiar, the background is deliberately bland. It’s the performance or the musical take on a familiar song that is original and captivating. YouTube is a platform to showcase a musician’s vocal or dance skills, not their songwriting. Let’s not forget Pomplamoose, one of the pioneers in using cover songs to bootstrap a musical career. Jack Conte went on to spawn an entire tech platform for showcasing musical artists who can also produce regular video content (Patreon), however, the format for success on Patreon seems to remain that of the YouTube video star than that of the musician with original songs. I think it’s really hard for musicians when they are just starting out to be super-creative and multi-talented in both video and audio creation. The amount of work that goes into producing a music video is way more than producing a screen capture of someone playing a video game and running a non-stop verbal narrative on the soundtrack. I don’t think many musicians can write, record, and produce amazing original music AND then write, shoot and produce amazing videos complete with costumes, dance troupes, and special effects to go along with it on a daily or even weekly or monthly basis. YouTube is about visual entertainment. The music is the soundtrack. That’s not to say YouTube isn’t an important medium for musicians, but I think it’s a hard place to break original music. I’m often to blogging and i really respect your content. The article has really peaks my interest. I’m going to bookmark your website and hold checking for brand spanking new information. This web site is mostly a walk-by for all the info you needed about this and didn’t know who to ask. Glimpse right here, and you’ll positively uncover it.